Can you confirm these amateur observations of Pachydactylus geitje? Type locality: South Africa (“Goorees Rivier ?” fide WERMUTH 1965). monticolus: South Africa (Cape Province); Type locality: Assegaibos, near the origin of the Berg River, Lamotte Foerestry Station, Fransch Hoek Mountains, Cape Province. Comment Type species: Pachydactylus bergii WIEGMANN 1834 is the type species of the genus Pachydactylus WIEGMANN 1834. Phylogenetics: Heinicke et al. 2017 presented an extensive phylogenetic analysis in which they grouped the genus in multiple groups and provided body and range sizes as well as microhabitat data for almost all species. Synonymy partly after BAUER & LAMB 2005, RÖSLER et al. 2012, and A. Bauer, pers. comm, 4 Oct 2014. 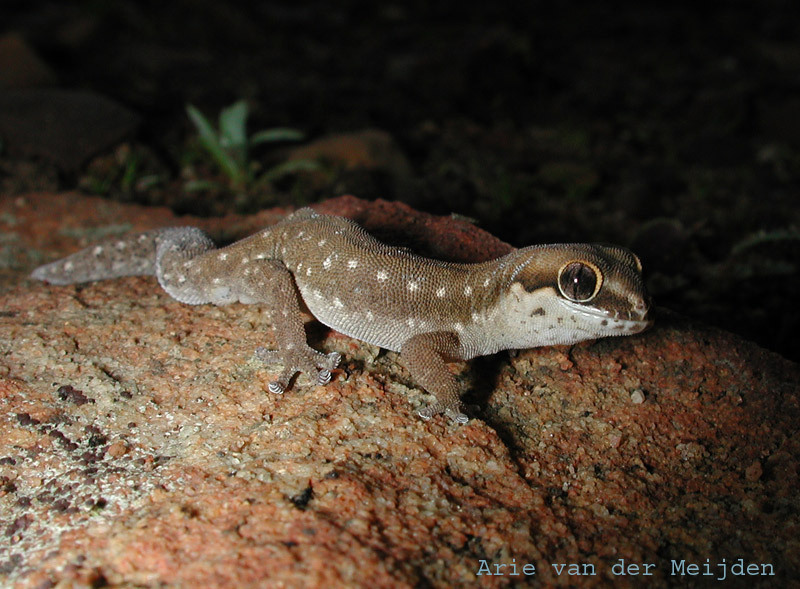 There is no type material for Gecko inunguis CUVIER 1817, so it is unclear what exactly it is (RÖSLER et al. 2012). RÖSLER 2000 lists P. monticolus with a question mark. BAUER & LAMB 2005 did not mention P. monticolus at all. Cantinea GRAY 1840 is probably a misspelling of Cantinia and a nomen nudum (Rösler et al. 2018, forthcoming).